Forza Horizon 4 arrives on Xbox One and Windows 10 with Xbox Game Pass. 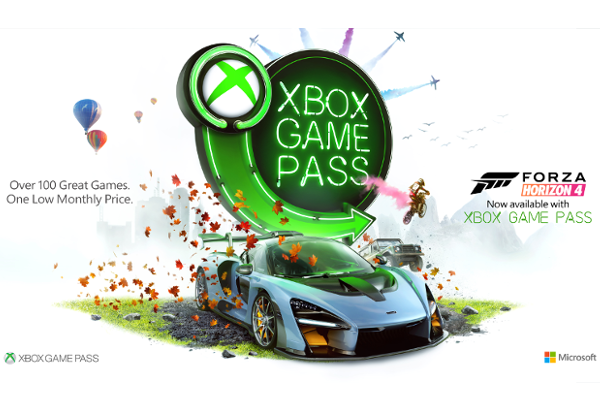 Forza Horizon 4 is now available with Xbox Game Pass and globally on Xbox One and Windows 10. Xbox Game Pass members can start playing Forza Horizon 4 Standard Edition on Xbox One and Windows 10, as part of their monthly membership. The membership includes over 100 more great games, including highly anticipated new Xbox exclusives the day they're released, all for one low monthly price.